"I Can't Stop Loving You," "Sweet Dreams," and "Oh Lonesome Me." Sunset Cemetery, Shelby, North Carolina. We will be visiting Sunset Cemetery during the AGS Annual Conference this June. Photo by June Hadden Hobbs. The Association for Gravestone Studies (AGS) was founded in 1977 for the purpose of furthering the study and preservation of gravestones. AGS is an international organization with an interest in gravemarkers of all periods and styles. Through its publications, conferences, workshops and exhibits, AGS promotes the study of gravestones from historical and artistic perspectives, expands public awareness of the significance of historic gravemarkers, and encourages individuals and groups to record and preserve gravestones. Did you know that the AGS now has nineteen chapters? Our state and regional chapters work as local extensions of AGS and thus, provide meeting and workshop opportunities at the local level. Consider attending a meeting in your area. Here is a list of our current chapters and who to contact for more information. Seminar: "Lichens, Biofilms, and Stone"
Blog Post: "African American Women at Congressional Cemetery"
Article: "The Grave of Morgan"
Article: "Karl Marx's London Tomb Vandalized"
Article: "This ill-fated tomb was party central for a generation of Northern Virginia teens"
Article: "New Zealand's biggest cemetery close to full"
Article: "Key West Cemetery: Where Last Words Are Sometimes One-Liners"
Did you know that you can shop online and know you are helping support AGS? AmazonSmile is a simple and automatic way for you to do so every time you shop, at no cost to you. AmazonSmile donates .5% of all your eligible purchases to support AGS when you select the Association for Gravestone Studies as your charity of choice! It's easy to help. Go to https://smile.amazon.com/ and use your usual Amazon login information. 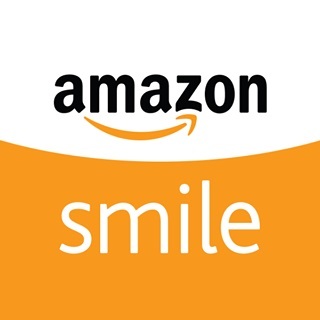 All of the millions of products eligible for charitable donation credits carry the AmazonSmile logo. The AGS Office is moving! We are relocating from our Munson Street office in Greenfield to 278 Main Street in Greenfield, next door to where the office was located 10 years ago. The board decided to downsize our space, as much of our archives has moved to UMass, Amherst. The new space consists of two rooms, one for our office, the other to process incoming materials donated to the archives. We will be there as of April 1st. AGS holds an annual conference every June. Held in a different location each year since 1978, the conference features lectures, demonstrations, exhibits, conservation and documentation workshops, classroom sessions, slide presentations, and guided cemetery tours. Our 2019 Annual Meeting and Conference will be held at Gardner-Webb University, Boiling Springs, North Carolina on June 25-30. Join us! **Please note that this is a week later than our usual conference dates. Click here to see a video about Garder-Webb University. Questions? Contact: ags2019conference@gmail.com . Our keynote speaker for the first night of lectures will be folklorist, Appalachian culture specialist, poet, singer, and banjo player Joyce Compton Brown. die in April, Rudy said. Well, why wait till April? lilacs, and we can sit out on the porch. old oaks fall in spring storms. REGISTRATION WILL BE OPENING IN MARCH. Steele Creek Presbyterian Church Cemetery in Charlotte. Photo from The True Image: Gravestone Art and the Culture of Scotch Irish Settlers in the Pennsylvania and Carolina Backcountry (Richard Hampton Jenrette Series in Architecture and the Decorative Arts) by Daniel W. Patterson. Proposals are solicited for scholarly papers, 20 minutes in length, to be presented during the lecture sessions, June 25-30. Please send an abstract of your paper (no more than 250 words) along with a brief biography (2-4 sentences) to Lectures Coordinator, info@gravestonestudies.org no later than March 1. Each entry should include the title, a summary or abstract and a PDF of the PowerPoint program, as well as a letter of recommendation from an academic adviser. Your entry should consist of a cover letter, with attachments, emailed to info@gravestonestudies.org . Address all questions to the AGS Office, info@gravestonestudies.org. Saturday, April 27th , 10 AM at the Downtown Campus of Greenfield Community College, 270 Main St. CALL FOR SPEAKERS -- If you would like to do a presentation (20-30 mins. ), during the morning session, contact Bob Drinkwater: soulestones@gmail.com or (413) 549-0581. After lunch, we plan to visit one (or more) cemeteries in Deerfield and vicinity. 2019 Spring Meeting of the Northeast New England Chapter of The Association for Gravestone Studies at Evergreen Cemetery , Portland, Maine. This event is FREE, and a light lunch will be provided. Expenses will be covered by the voluntary donations of attendees, and the difference (if any) will be underwritten by several individuals. Further details of the programs will be announced. If you would like to present a paper, please reply by Sunday, March 24th to agsnechapter@gmail.com with your contact information and a brief description of your presentation. There are limited spots available this year! If you are able to attend the meeting, please RSVP by Thursday, April 18th to agsnechapter@gmail.com or by indicating you are going on the Facebook Event page at www.facebook.com/events/1059974577547024/. Save the Date for the Southeastern New England and Cape Cod (SNECC) Chapter's Spring Meeting. We will be meeting in Providence, RI at the North Burial Ground from 10-3 on May 18th. More information will follow soon. Join us in Historic Downtown Plano for the 2019 Texas Association of Gravestone Conference. Details coming soon! Authors are encouraged to send a query email outlining a project before sending a manuscript. Queries and submissions to Markers should be sent to Editor Elisabeth Roark at roark@chatham.edu , before June 1, 2019. "Lichens, Biofilms, and Stone" is an advanced training seminar for conservators--a seminar for professional and aspiring conservators and preservationists with an interest in stone monuments, sculptures, and buildings. The seminar draws participants from throughout North America and beyond. AGS members receive a 10% discount. Offered by the Eagle Hill Institute, which is on the coast of Maine between Acadia National Park and Petit Manan National Wildlife Refuge. University students receive a 10% discount (20% discount with a faculty member letter of recommendation). After Louisiana's experiences with disaster-related impacts to cemeteries in recent years, we are conducting research into methods by which regulators and first responders can be more prepared. Part of that research is to assess the types of cemeteries and damage that may have occurred in different locales. The information will be used to assess the geographic scope of the problems that Louisiana experienced and may become part of larger published works. Unless respondents want to identify themselves, the survey is completely anonymous. We would greatly appreciate it if the AGS membership would take about 5 minutes to complete a brief survey located at https://www.surveymonkey.com/r/5QMS9KN . We really appreciate everyone's time and help. The William G. Pomeroy Foundation's signage program (the New York State Historic Roadside Marker Grant Program) gives grants to erect markers at historically important locations. 501(c)(3) organizations in New York are eligible grant recipients. This is part 2 - part 1 was posted in last month's e-newsletter. Historical archaeologists are the ones who most frequently come into contact with burials from the African American past. From the First African Burial Ground in NYC to community cemeteries around the country, historical archaeologists have time and time again been brought in to deal with human remains when developers discover an unmarked burial ground on their project site. That is why the SHA developed and presented guidance on abandoned burial grounds on our website, and why we have promoted and sponsored legislation to provide documentation of African American burial grounds and training and support to their communities. We are very pleased to announce that the African American Burial Grounds Network Act has been introduced in the House of Representatives by Rep. Alma Adams (NC) and Rep. Donald McEachin (VA). We encourage you to reach out to your Congressional representatives and voice your support of this legislation. From the National Council on Public History: Legislation proposed to support historic African American burial sites. Congressional representatives from Virginia and North Carolina have introduced the African American Burial Grounds Network Act in the US House of Representatives. The legislation, which has support from national and local preservation and history organizations, calls for the addition of an African American Burial Grounds Network to the National Park Service. If enacted, it would create a nationwide database of historic African American burial sites and provide resources for education and preservation. http://bit.ly/2XcYpd4 . Check out this recent video by the Cemetery Detective. The Maryland Historical Trust awarded an Excellence in Community Engagement Award to Montgomery Preservation, Inc.
Montgomery County Cemetery Inventory Revisited - Montgomery Preservation Inc. surveyed and inventoried every cemetery in the County in a massive volunteer effort to support two new ordinances designed to preserve cemeteries and burial sites. Their planning department now uses the 322-site inventory in the development review process. 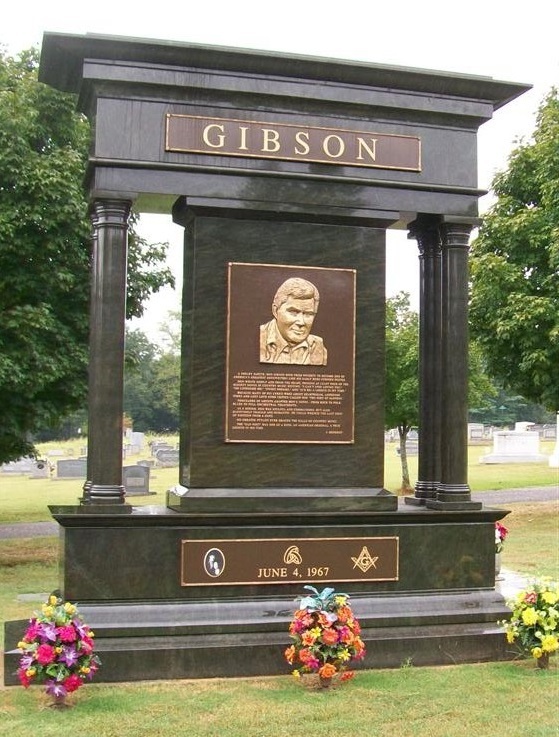 Cemetery Lovers is a column featured in the Sidney, New York Tri-Town News. It is written by AGS Members Tina and Dale Utter. This article is about reading gravestones. This article is posted on the Atlas Obscura website. A simple stone remembers one of the most menacing horses in the Swedish military. This article is posted on the Washington Post website. This article is also posted on the Washington Post website. This article is posted on New Zealand's Stuff website. This article is posted on the WLRN website.